Each Thursday Morning 8AM till 11 – Car pool to area Waterfalls, Wildflowers, Mountain Vistas, Elk, Blue Ridge Parkway, Great Smoky Mountain National Park, Cataloochee Valley. $48 per shoot. Contact Award winning photographer Bob Grytten 828.627.0245 or 828.593.1580 for more information & registration by Tuesday to confirm Thursday shoot. DSLR Equipment available for rent, Camera, Lens and Tripod – $20 with class. 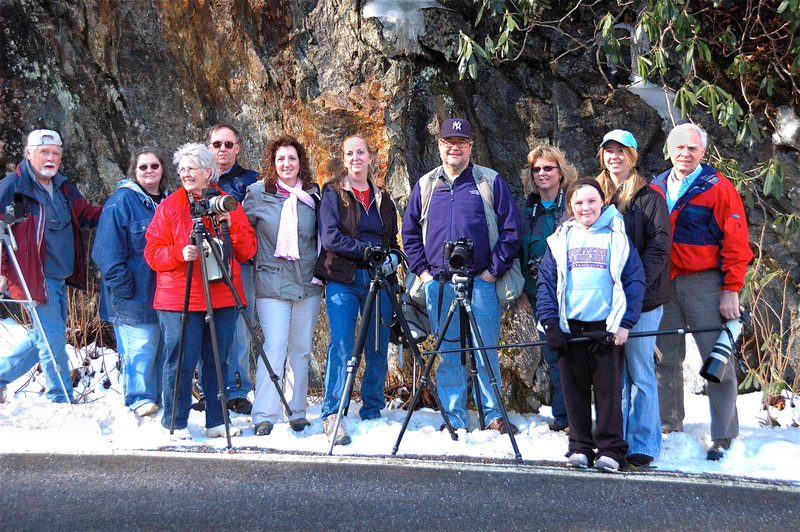 Back when we started the Field Photography workshops I envisioned and opportunity for a more comprehensive program to allow for feedback so the participants could have rapid growth. We still like that program which is usually a month-long – Wed morning shoots and Tuesday Evening critiques. Now we have added Thursday morning shoots so graduates of the longer program can add to their base experience. This will also serve those who are in our area for a short time and wish to experience nature in Western North Carolina. Previous Daniel Beltrá: Shooting in some of the world’s most dangerous places, commitment to environmental visual reporting.